I just wanted to throw up a quick poll to see what everyone plans on doing for D3 day (T-minus 12 hours and 36 minutes as of this moment). So… I know a lot of you are going to be fighting mass quantities of hellspawn in a few hour’s time. Question is, WHAT will you be playing? I already briefly touched on the talent selections for Diablo 3, but I want to give a bit more detailed information on this unique approach to character powers. First off, here is a link to a workable talent calculator (much like what Wowhead has). As I already mentioned, there are 9 spaces total that unlock as your character progresses. 6 active skill slots, and 3 passive skill slots. If you’re anything like me, you could easily spend a lot of time just tooling around with this calculator and seeing what you can come up with. The best part of this is that there is no right or wrong way to build your character. Whatever abilities you want to use, that’s what you can pick. The power is really in your hands. Now, in addition to just the baseline talents, D3 introduces runestones that can augment or change the functionality of each individual active skill. You could sort of think of this like the glyph system in WoW, only the runestones attach directly to the skill instead of your talent tree as a whole. There are 5 different types of runestones: Crimson, Golden, Alabaster, Indigo, and Obsidian (or red, yellow, white, blue and black). Each runestone will do something different depending on the active skill you attach it to. Unfortunatly, the runestones are not in the beta so my experience with them is limited to hearsay, and the limited information released by Blizzard. The way I understand it is that there will be a different levels for each color of rune stone. This is a sort of way of adding extra power to your spells as you level, even after you’ve unlocked all the abilities for your class. Let me give an example using this very simple build. Mousing over the Cleave ability, you will see that it deals 115% weapon damage. Socketed with a crimson runestone (we’ll call this a level 4 crimson runestone) it increases the ability to 150% weapon damage. Now a level 7 crimson runestone may give you 200% weapon damage, whereas a level 1 crimson runestone may only give 125% weapon damage. 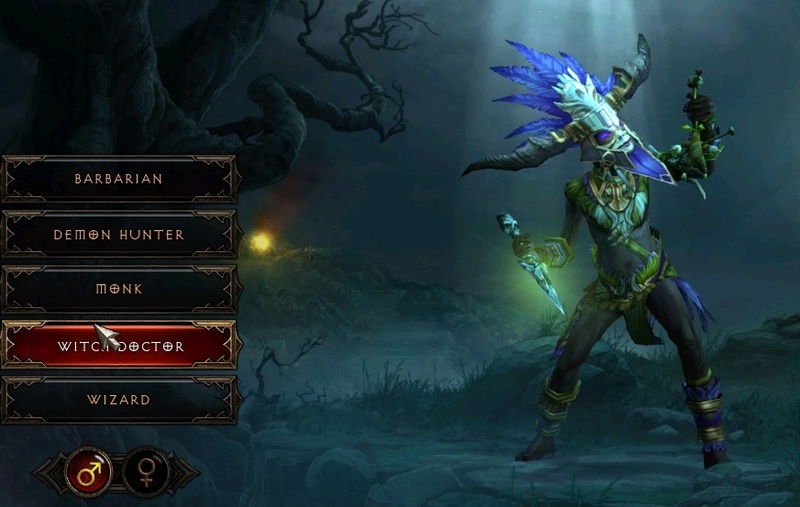 Another example would be this witch doctor build. Haunt, by itself does 500% weapon damage over 15 seconds. With a level 4 obsidian runestone socketed, it also slows the target by 37%. A level 7 obsidian runestone may slow the target by 60% whereas a level 1 obsidian runestone may only slow it by 10%. 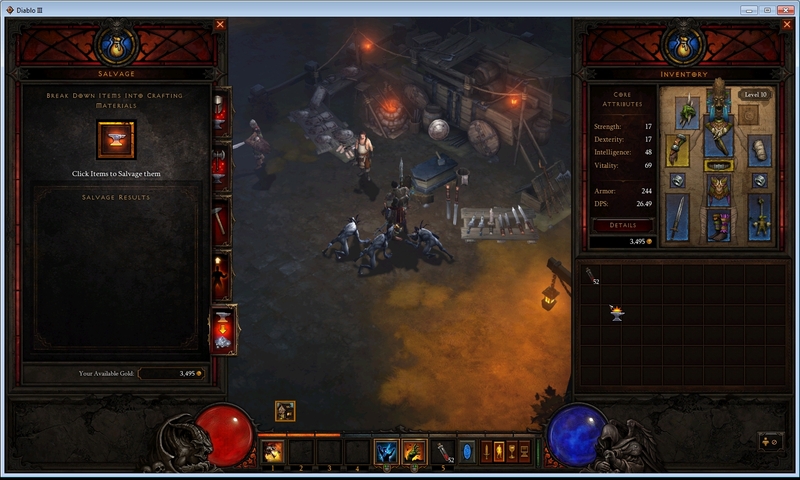 The level cap in Diablo 3 is 60, but as you can see, you get no more new abilities at level 30. However, I feel that the runestone system is a way of giving new flavor to the abilities as you continue to progress past the point of getting new skills. As I understand it, socketing runestones doesn’t cost anything, but removing them in order to slip a new one in it’s place will. This cost will, presumably, scale with either your character’s level, or the runestone level you’re removing. At this point, I’m not sure how switching talents out will affect runestones. To me, the way that would make the most sense is to have a runestone tied directly to the active skill, and if you swap that skill out for another skill (say.. swapping Haunt out for Poison Dart), the runestone will stay attached to Haunt. This keeps you from having to spend unnecessary gold removing runestones you don’t want from new abilities, or from accidently destroying them. It also keeps you from having to go back into town every time you want to change out an ability (which is part of the reason they removed the Nephalem Altars in this most recent beta patch). Blizzard updated the D3 beta on Tuesday morning with beta patch 10. There are a couple of significant changes regarding things I’ve already posted about, so I figured it is probably worth it to make a new post and let you all know. First – Pages and Tomes of training are removed from the game. Now, upgrading your crafting NPCs is simply a gold sink instead of something to gather for. All in all, I think its a pretty good change. Now upgrading your NPC is something that can be done on your own terms, instead of dependant on the amount of something you’ve picked up. Second – the Nephralem Cube (used to break down items into crafting parts) has been removed from the game. Instead, the blacksmith will be able to salvage items for components. This change will add a little bit of extra time to your game, but isn’t particularly a bad thing. If nothing else, you may need to go back to town a little more often for bag space. Not a terrible change, all things considered. Third – Grey and White quality items are no longer salvageable. Because of this, the white-quality components have been removed from the game. I actually really like this change. If you’ve played D1 or D2 then you know that there comes a point where its really not worth it to pick up grey or white items anymore, and this just makes the same true for D3. Plus, getting rid of unnecessary crafting components really streamlines the whole process. After a certain point the “common scrap” (previously received from salvaging greys and whites) would simply become redundant and time consuming at best, so this is a pretty good change overall. In the screenshot below you can see what the new tab looks like for salvaging gear via the blacksmith. Fourth – The Nephralem Altar has been removed. Unlike the first three, this is completely unrelated to crafting, but it is still something I briefly covered in my first Diablo post. The altar used to be where we would go to switch out our active and passive skills (unless you levelled up and unlocked a new slot, then you could just slap an ability into the mix). Now abilities can be changed anywhere, almost at will. The downside of this is that when you swap out an ability it triggers a 30 second cooldown. This cooldown prevents you from using the ability you swapped in, and prevents you from switching the ability out for something else. If you think about it, this change makes sense. You can change your skills any time you feel like, but at the same time you can’t game the system and use a bunch of high-cooldown abilities back to back to back. This will, essentially, keep you out in the world more, while still making you have to pre-plan your skills. There was a little bit more to this patch, but I mentioned those things specifically because they’re things I have discussed in my previous D3-centric posts. If you’re even slightly interested, you can see the full patch notes for Beta Patch 10 here.